The Progressive Conservatives brought an emergency two hour debate to the floor Wednesday to discuss the current shortage of family doctors and the decision by the new health authority to limit how many doctors can work at walk-in clinics or set up shop in the Halifax area. The McNeil government's promise to provide every family in the province with a doctor has become the major issue of the spring sitting. The opposition brought an emergency two hour debate to the floor to discuss the shortage of family doctors and the decision by the new health authority to limit how many doctors can work at walk-in clinics or set up shop in the Halifax area. The opposition says the decision flies in the face of a key Liberal election promise. 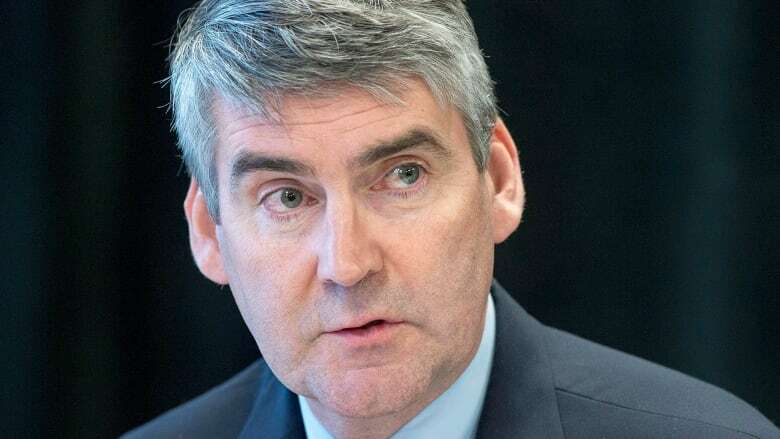 "Mister Speaker, when we asked the Speaker about that promise that he made to the people of Nova Scotia that every family would have a doctor," said Progressive Conservative Leader Jamie Baillie. "When we asked him about that promise in their campaign platform he said that that was old information." "Well, Mister Speaker, Nova Scotians remember it as a promise made and now it's a promise broken." Emergency debates are not rare and they don't accomplish anything concrete except to give people a chance to talk about the issue. Alfie MacLeod, the PC MLA for Sydney River-Mira-Louisbourg, was the man who called for the debate. "We have, according to the minister, 10 new doctors coming to Cape Breton ... that is only to replace 10 doctors that are already gone," said MacLeod. MacLeod said in a meeting that happened this weekend, local doctors said 15 new physicians were leaving the area. "They put in their resignations and they've been attracted to different jurisdictions. They have said they're going to retire and some have just thrown up their arms and said 'I could practice for a few more years, but you know what, the system is making it so hard I don't want to do that.'" Marian Mancini, MLA for Dartmouth South, said one of her constituents, a young woman in her 30s who moved back to Nova Scotia from Alberta more than two years ago, still can't find a family doctor. Mancini says while the woman is able to go to the walk-in clinic, it's not acceptable. "At the walk-in if she needs to get an x-ray, they'll give her the slip to get the x-ray and then do your follow-up with your family doctor. She doesn't have a family doctor," said Mancini. "This is a young person ... wondering whether it's worthwhile staying in this province that she returned to. It's her home province. And she's thinking 'I might as well go back out west because this is not quality of life.'" Liberal backbencher Terry Farrell from Cumberland North said the McNeil government intends to keep its promise to improve the health care system. "Nova Scotians chose that change resoundingly in October of 2013, they voted for that change and they chose that change, he said. "I'm pleased to say that under the premier and the minister of health, we're in the process of effecting that change. That is happening every single day of our mandate."